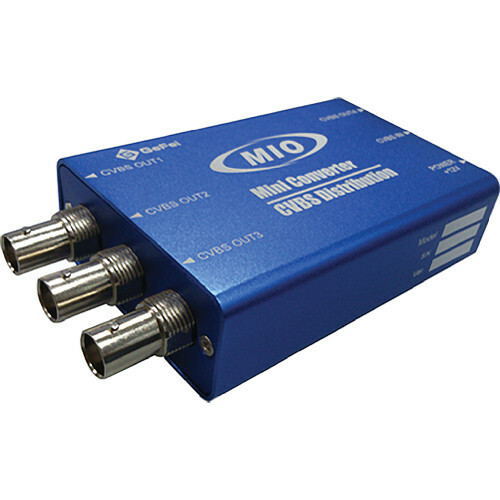 The Gra-Vue MMIO ADA 1 x 4 Analog Video Distribution Mini Box distributes 1 analog video input across 4 analog outputs. The device supports CVBS input signal and automatic input detection of PAL and NTSC formats. The LED lights on the Mini box indicate the status of input signal and power supply. Box Dimensions (LxWxH) 7.559 x 4.488 x 2.913"